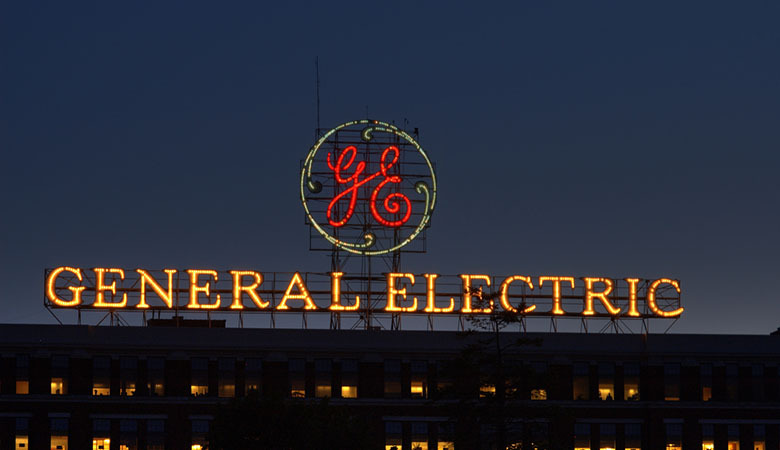 What do you think of when you see the name General Electric (GE)? In the last three years, GE has put a lot of effort into showcasing the company’s technology via visual content on digital platforms. This includes launching an Instagram and Tumblr account, refreshing their YouTube channel, and giving their website, GE.com, a makeover. At Innovation Enterprise’s Digital Marketing Innovation Summit, GE’s Head of Global Digital Programming, Katrina Craigwell, shared some examples of how GE was able to leverage digital marketing and online social platforms to capture the imagination of technology lovers worldwide. 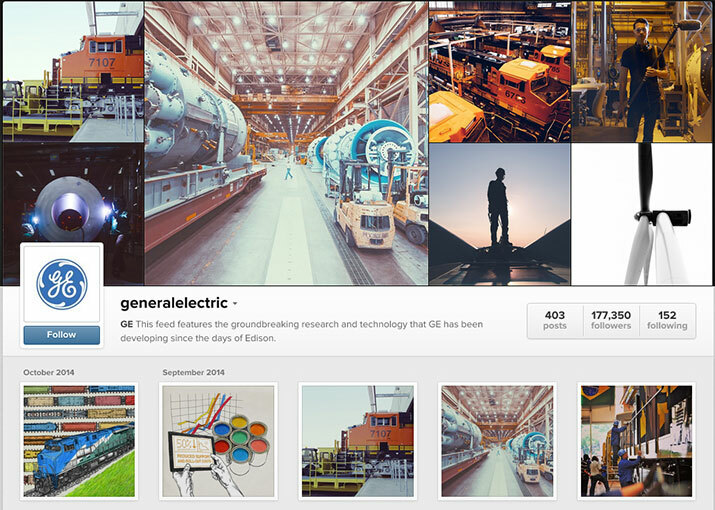 Increase audience awareness of the scope of what GE does and highlight positive experiences with the brand. Support pipeline for young engineering and business talent. GE wants the people who are thinking about working at Google, Facebook and Apple to think about them as well. Drive interest among the next generation of potential shareholders. GE has been around since 1892 and their current shareholders are aging. The company needs to attract the next generation of shareholders. After defining the overarching goals, GE needs to figure out how to achieve them by establishing their target, objective and strategy to reach their audience. What is the brand messaging and how are they going to convey that to the audience they want to target through digital marketing? Below is how GE defines their voice. Enthusiasts with interests in topics important to GE. This can mean bloggers, people who are simply interested, or people who work in relevant industries. Deepen the target audience’s understanding of GE’s commitment to a better future through technology and innovation. Ignite light-hearted curiosity around science and technology and create moments of wonder by opening GE’s doors. 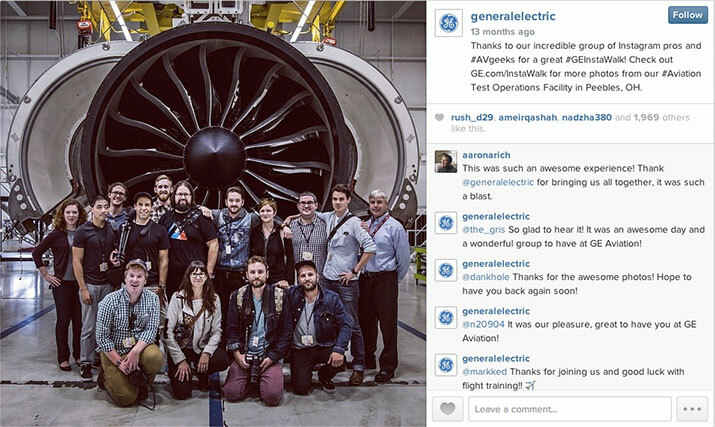 The more their target audience gets to see and understand what GE is doing, the more they have the opportunity to like or even love the brand. 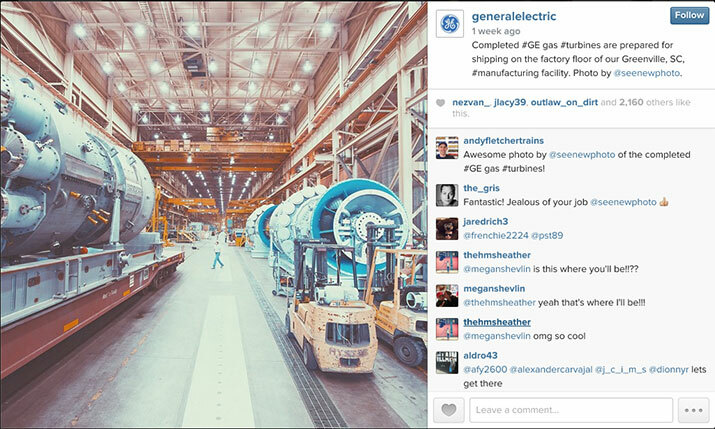 GE is on a lot of social platforms. Part of their digital strategy is to try to be first-movers on many platforms to test out whether or not it is suited to the brand. Instagram is one of the first platforms they experimented on and they came back with highly successful results. Always show big beautiful machines. 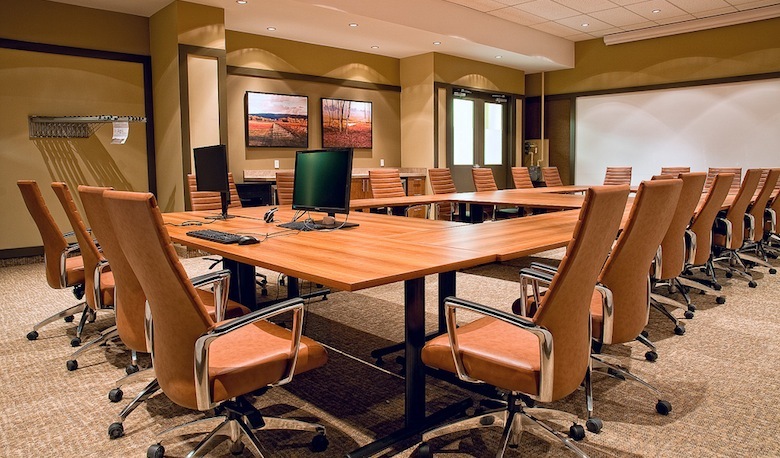 Not lunch rooms, not whiteboards. 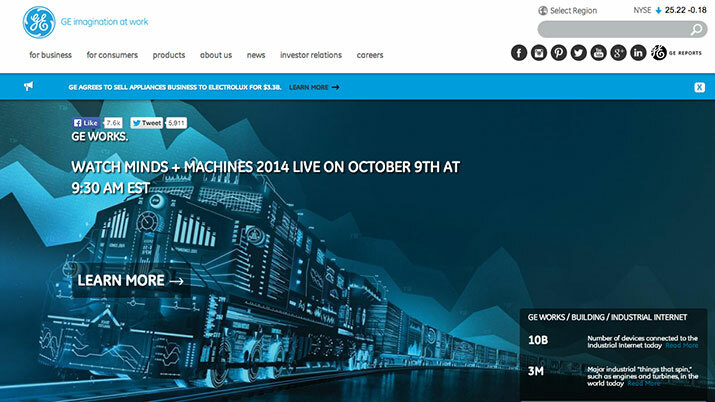 Below are two examples of how GE approached their digital campaigns. 200K+ social engagements in first 48 hours. The reason for this success is simple: give 12 people an experience they’ll never forget, and it stays with them for a very long time. This pays off for the brand in the long run. Generating positive experiences among young people right now will impact GE favorably in the future. When these people and their network grow older, they can potentially become either new hires or shareholders of the company–both long term goals of the marketing strategy. 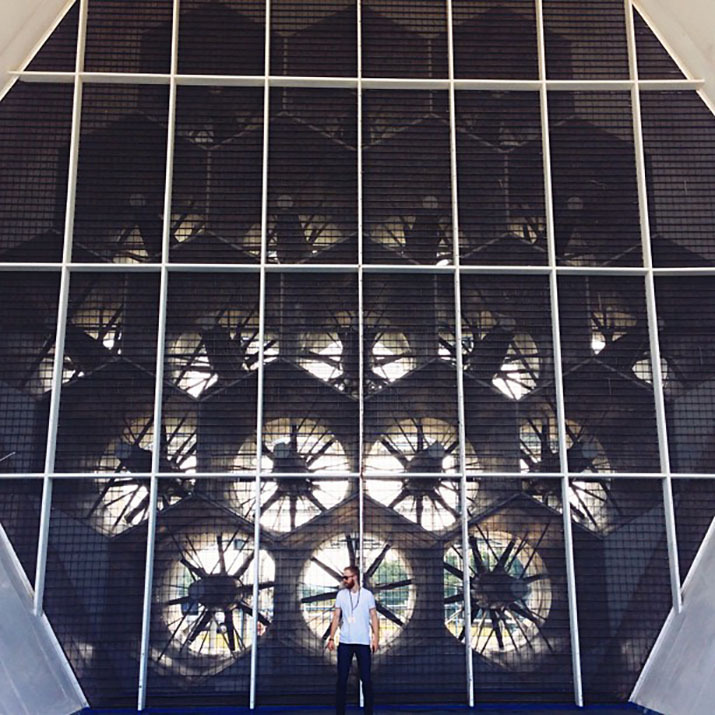 Below is one of the photos taken by the 12 people invited to the facility. 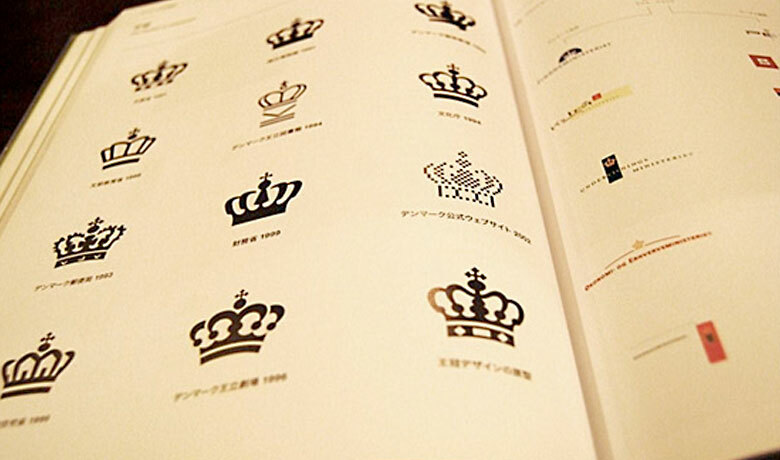 You can view the entire collection on GE’s website here. During the Spring Break of 2014, GE made a new viral video campaign to celebrate the innovations in materials science. One of the most important factors to getting quality engagement – in particular, getting fans to actually send in requests – is to ensure that everybody who asked to crush something got a response. When people see they can actually get real responses and potentially see their request fulfilled, they become more willing to engage. Again, this campaign focuses on generating positive experiences for people and giving them a new perspective on GE as a company. This kind of campaign has both short term and long term benefits as it generates engagement now, but strong branding for the future. The biggest lesson learned here is the importance of finding the right digital voice for your brand. The success of GE’s digital strategy can be attributed to finding the sweet spot between the company’s core values and expressing that in a visually appealing and relevant way. GE targeted the right audience – people who were already interested in technology and the company – with the right message using the most suitable platforms. As a result, they were able to garner significant engagement among their target and increase awareness of the brand among young people. However, that’s not the end of the campaign. Digital marketing is ongoing and the goals are long-sighted. GE aren’t planning for the next year or two, but for the next 20 years and beyond as they consider their aging shareholder base. Companies that want to maintain a strong foothold in their industry should exercise this kind of big picture thinking as they map out their marketing objectives. Why are we engaging young people now? What kind of impact will this positive experience have in the future? Kristie is a third culture kid from Australia, Hong Kong and San Francisco. Formerly a contributor to freshtrax, she is a lover of social technology and pop culture, and always excited for a good brand story.